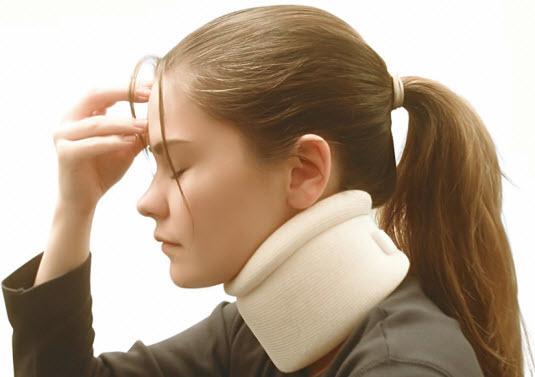 Looking for whiplash treatment from an auto accident? If you have recently been in an automobile accident, experienced a hard fall or been hit in the head while exercises or playing sports, you should seek whiplash treatment in Everett for the possibility of whiplash. Whiplash is a severe sprain of the neck muscles and a straining of the ligaments. It causes severe headaches and migraines, loss of range of motion in the neck and neck stiffness. A whiplash injury can also cause upper back and shoulder pain and leave individuals unable to work or care for their families. Sprains and strains of the neck may not be readily apparent. Typically, there is no bruising or swelling at the site, and individuals often do not feel symptoms for days and even months. This can make whiplash hard to diagnose because the individuals often do not realize the cause of their new neck stiffness, pain and headaches is because of a car accident or other head trauma. We recommend getting examined as soon as possible after your car or sporting accident. Whiplash that remains untreated could damage the discs in your neck and lead to bone spurs, which causes a permanent loss of range of motion that is difficult and sometimes impossible to correct. Our chiropractors in Everett offer chiropractic care for whiplash that does not involve taking medications or undergoing any invasive procedures. In fact, receiving chiropractic care can reduce your reliance on pain medicines and anti-inflammatories. We utilize chiropractic adjustments and massage therapy to treat whiplash, reduce pain and headaches and restore proper range of motion. When whiplash occurs, the neck is thrown completely out of alignment, and in severe instances, the cervical vertebrae lose all of their curvature, effectively straightening the neck. When this happens, excess pressure is placed on the front of your neck, which can cause further injury if it is not corrected. Chiropractic adjustments can restore the curvature of the neck, reduce pain and headaches and heal your injury at its cause. To further reduce pain and speed healing, we offer massage therapy. Tight and stiff muscles cause pain and can make chiropractic adjustments less effective and uncomfortable. Receiving a massage before your chiropractic appointment can aid our chiropractor in performing the adjustment, relax your muscles, help break up scar tissue and improve blood flow and oxygenation throughout your body and to injured areas. When these treatments are utilized to treat whiplash, pain and headaches and reliance on pain medications it reduced. The neck’s proper curvature is restored, which reduces the stress on ligaments and muscles and recovery time is decreased. This allows you to get back to work and your active lifestyle much sooner than with other forms of whiplash treatment. To schedule an initial appointment for whiplash treatment in Everett or to learn about the ways we can heal your neck injury, call our office at 425-379-6301.